Larger black and white maps. objects in Earth's night sky. Within 100 light-years (or 30.7 parsecs) of Sol, there are around 34 confirmed giant stars and 213 possible subgiant stars (with another 24 or so possibly mis-classified dwarf stars). Subgiant stars are evolving off, or will "soon" leave, the "main sequence" because they are running out of hydrogen to sustain fusion at their cores. Most of these relatively bright but comparatively rare stars can be seen with the unaided Human eye in Earth's night sky. The giant stage is relatively brief, lasting up to around a tenth of the main-sequence lifetime. Stars with around 80 percent to 10 times the mass of Sol eventually become giant stars that appear to spend the most time fusing core helium as spectral type K, orange-red giants, such as nearby Pollux and Arcturus. 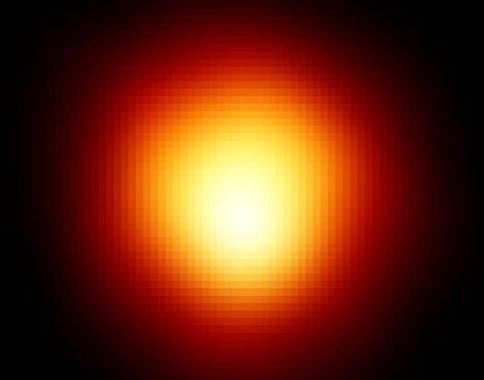 Very short-lived and therefore much rarer, higher mass stars become much larger and brighter supergiant stars, such as Betelgeuse, but there are no supergiants located within 100 light-years (ly) of Sol. (Larger ultraviolet image -- more). While there are no giant stars located with 10 parsecs (or 33.3 light-years) of Sol, six stars -- Altair, Procyon A, Delta Pavonis, Beta Hydri, Mu Herculis Aa, and Rana -- appear to have already fused so much hydrogen and accumulated so much helium ash in their cores that they are beginning to swell and emit more yellow, orange, red, and infra-red light as subgiant stars -- shifting their spectral type towards the red end of the spectrum. As more massive stars exhaust their core hydrogen much faster, the largest O and B stars that may have once been born in the immediate 10-parsec, Solar neighborhood appear to have already moved off the main sequence and relatively brief, giant and supergiant stages to become white dwarfs and possibly as yet undetected neutron stars and black holes. 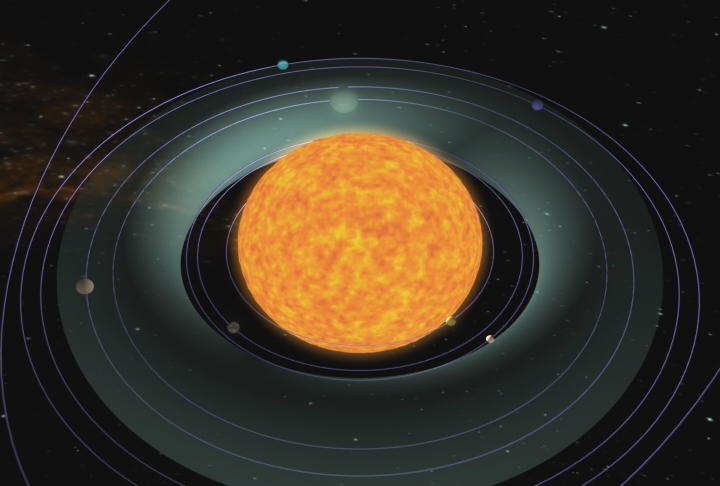 Arcturus is a nearby star located just outside the immediate 10-parsec Solar neighborhood (about 37 light-years away) that has already evolved out of the main sequence into giant status. 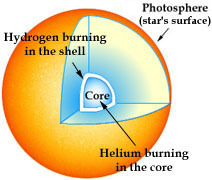 Astronomers suspect that the star may have already shifted from the fusion of hydrogen to helium in its core, to the fusion of helium to carbon and oxygen, with trace activity of other nuclear processes, although Arcturus is somewhat brighter than expected for a stable helium-burning star (see Professor Jim Kaler's discussion). This helium-burning, orange-red giant stage is relatively brief, lasting tens to hundreds of million years (e.g., lasting around 700 million years for a star of one Solar mass like our Sun, Sol). In March 2005, some astronomers announced that stars like Sol evolve through three stages that could foster life (see NASA news release with images). The first lasts for about 10 billion years, as the star burns hydrogen in its core during the main sequence. 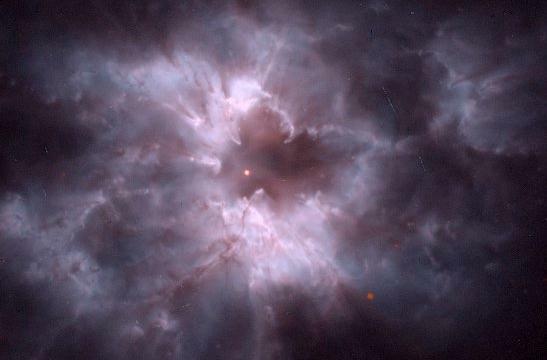 When the star exhausts its core hydrogen and begins to burn hydrogen in a shell around a growing helium core, it brightens and expands and becomes a "subgiant," during which its habitable zone moves outward with the increased heat radiated. 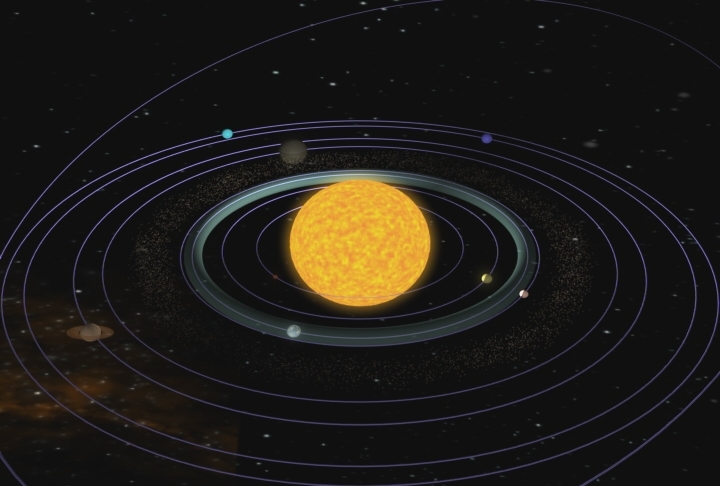 When our Sun, Sol, becomes a subgiant, its habitable zone may extending from two to nine AUs. Thus, the inner edge of this zone remains habitable for several billion years while the outer extreme, where Saturn currently orbits, is habitable for a few hundred million years. The star then fluctuates in brightness for about 20 million years as it switches to core helium burning almost exclusively, before becoming a red giant and swelling to around 10 times the diameter of the Sun. For about a billion years afterwards, the habitable zone around the red giant extends from 7 to 22 AU, the outer edge of which lies beyond the orbit of Uranus. Hence, planets that are currently very cold and icy can warm up and become potentially habitable. The time period over which these conditions change may be long enough for life to develop. Moreover, bacteria could be transported by meteorites from an inner planet where life is ending to an outer planet where conditions are warming up. The following giant stars are located within 100 light-years (ly), 30.7 parsecs, of Sol. The following suspected subgiant stars are located within 100 light-years (ly), 30.7 parsecs, of Sol. 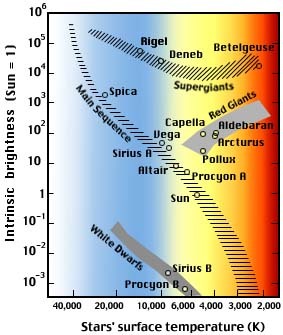 Summary information on main sequence, blue-white B, bluish white A, yellowish F, yellow-orange G, orange-red K , and many red M stars within 100 light-years are also available. Try Professor James Kaler's Stars for more information on giant, supergiant, and prominent subgiant stars. See also a paper on the use of subgiant stars to date the oldest stars of Milky Way disk from Sandage et al, 2003. Up-to-date technical summaries on some stars can be found at: NASA Star and Exoplanet Database, the Astronomiches Rechen-Institut at Heidelberg's ARCNS, Centre de Donn�es astronomiques de Strasbourg's SIMBAD, and www.alcyone.de's bright star catalogue search. Additional information may be available at Roger Wilcox's Internet Stellar Database. © 2005-2010 Sol Company. All Rights Reserved.